Is it possible driving Pz.Kpfw VII to get a hit in mantle with AP from T10 and get full damage??? The whole tank is a joke. Weakspots on the side, weakspot on the lower plate, weakspot on the mantlet.....God i just hate my Pz.7. There is no armor around the gun, behind the spaced armor of the mantle. I agree. It really needs some armor buffs. Edited by Amun_RA, 24 March 2019 - 11:07 PM. are you a gold spammer?? Yes u r right.The front upper,mid and lower plate are not weakpoint u need gold to pen..
Yeah, i know, but in this current meta there is rarely a tier 10 player who shoots regular ammo at HTs (ore even mts....or Tds....or LTs....or even at arties....), and so, that immediately becomes a weakspot as it is flat and angleing doesn't work well 'cause you'll expose your other weakspots eventually. Edited by Dr_Blackshark, 25 March 2019 - 04:48 PM. People firing premium ammo at the Panzer VII is understandable as it has no viable frontal weakspots, it can just sit in the open and you need like 280 - 290 pen to go through reliably, unless you hit the literal pixel strips in the turret/mantlet. Its much like the Type 5 and the Maus IMO, it basically deserves premium ammo because it doesn't allow normal ammo to have any real chance from the front. 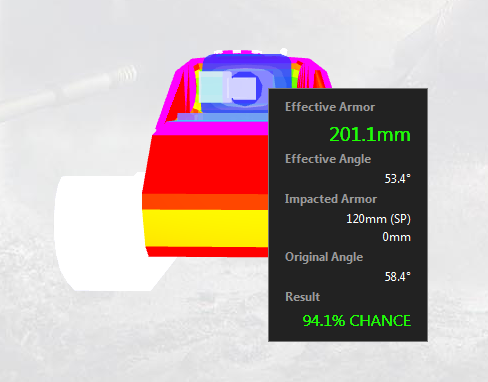 That said i think both the tanks could get changed in terms of armor layout - give them proper weak lfps (like 230-240 effective unangled - since they have very poor angle on them anyway, even at 40° angle theyd be barely reliable) and actually allow them to sidescrape (like they were designed/supposed to play, but cant because of the triangles below turret and the turret rings) by buffing the triangles and the turret ring to be 350+ at sidescrape angles. And then patch up those mantlets. Tonks would still have "weak" lfps in all situations when those arent hidden and people could learn to shoot turret sides that are weak like on e100. European Community → Deutschsprachige Community → Forum → Anleitungen → Panzer → Deutsche Panzer → Schwere Panzer → Maus oder Pz.Kpfw VII - was würdet ihr kaufen?